Click Here To See Captain America #141 Comic Book! 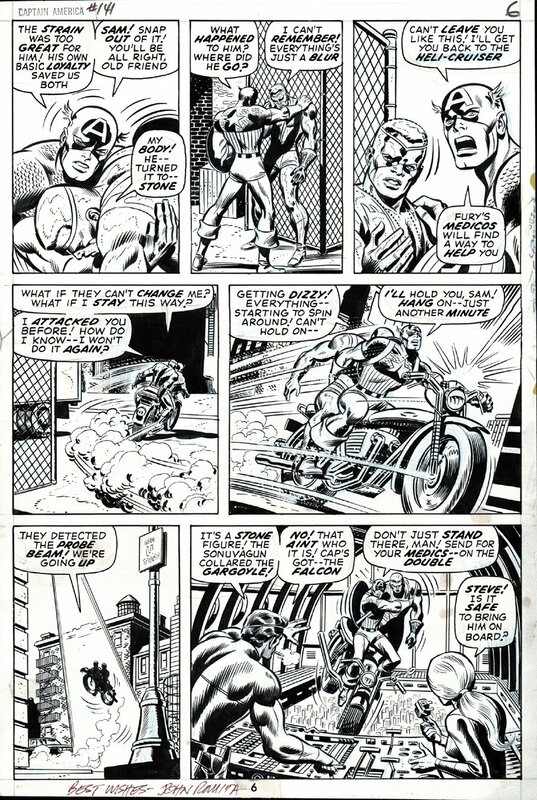 Check out this incredibly detailed 1971 all out action page, which was penciled by the great John Romita Sr, and inked by the great Joe Sinnott, from the story titled: "The Unholy Alliance!" 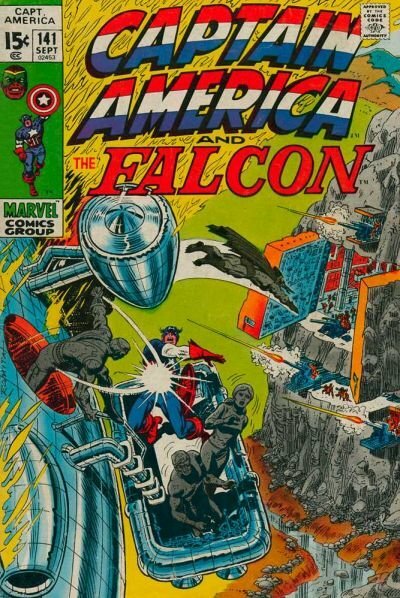 This incredibly detailed page features Captain America AND the falcon in ALL 7 PANELS! We also get nice detailed images of Nick Fury and Sharon Carter in the last great panel also. Just an incredibly detailed VERY BUSY action page, drawn by these 2 iconic Marvel legends! Art signed at bottom by John Romita also! ALL art on our website (including this one) are able to be purchased with VERY fair time payments, and trades are always considered towards "ANY" art on our website! Just send us an email to mikeburkey@aol.com and we can try to work something out.